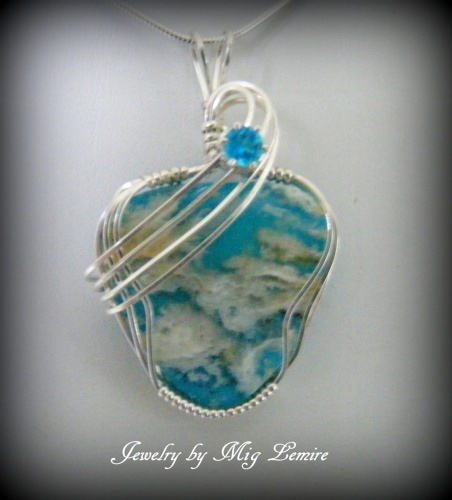 This beautiful Regency Plume Agate Doublet gemstone is accented with a 3/4 carat neon Apatite gemstone. 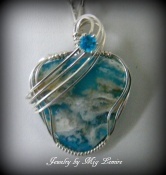 The colors remind of the clear blue seas on a summer day and the sterling silver framework makes the color show up more. Piece is one of a kind. 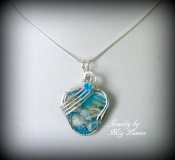 Measures 1 1/2" from top of bail to bottom of pendant and 1" wide and comes with a sterling silver snake chain.